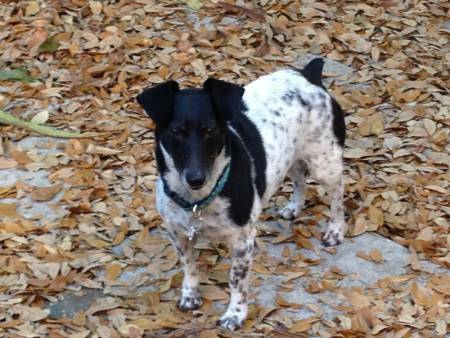 For Adoption: Sachel ~ Pawsitively Humane, Inc.
Sachel is an 11 -year old little Rat Terrier who lost his parents a year ago. As is the case for many pets, he was left alone in the home of his deceased owners, something that breaks our heart . He still lives there by himself waiting for the day of their return. The family of his owner can not take him because they already have cats. Sachel is an excellent companion. He is an inside dog but he also enjoys the outdoors. He is well behaved and knows how to sit, come and shake. His favorite game is to play with fetch with his rope toy. But now, he doesn't have anyone to play with or who to show all of his tricks. Therefore, he needs a home soon before it is too late and he is taken to a kill shelter. If anyone is interested in adopting him or wish to help find him a home, please contact Carmen, her email is KLCremer@aol.com and her cellphone is 305- 562-6122. That's so sad, I'll tweet the link.